If you follow me on Facebook or Instagram or Twitter, you heard this news last week. If you haven’t heard it yet, let me tell you… We are expecting yet another baby. And the biggest news of all, is that the baby will be another girl! Tally that up and you will get four girls in our household. We’ve been getting both congratulations and condolences, most condolences were for Nathan. It’s OK to feel sorry for that poor guy who is way outnumbered by the flow of estrogen under one roof. We are excited for this little girl though. I was praying hard for another girl. It’s what I know. It’s what I do. I would be so out of my elements if we had a boy. And that boy would be bossed around and dressed up by his sisters. The girls were hoping for a brother though. And although this is a personal matter that varies per family, Nathan and I decided this would be our last child. I don’t think I can mentally or physically handle more than four children. And we want to be able to provide our children with a lifestyle that we see fit for our family. Nothing lavish. Just comfortable will do for us. Four would be the max with only Nathan working and me staying at home. Stay-at-home is a funny term because although I am a stay-at-home mom, I am rarely at home. I am busy running my children everywhere. Anyway, the point is some families are comfortable with one child, others have more than four. And their reasoning are all different. It’s a personal matter and people come to terms differently on this topic. I would like to know how you knew you were done having children. » Tell me… What was your experience like knowing when you were done having children? Hooray, congratulations! I am so glad I found the time to catch up on my blog reading tonight so that I could see your news… I had my 2nd baby 6 months ago and it has been amazing rollercoaster ride. I honestly don’t know how you cope with 3, nevermind 4! I get terrible morning sickness and 2nd time round it lasted much, much longer. I just can’t face that again, and also I just feel too old to be pregnant again (37 now so would be close to 40 if we ever had a 3rd). Oh man, that’s awesome that you KNOW that you’re done. I worry that I’ll always wonder. And all those girls-how wonderful! What a bond they will share when they’re older! I’ve got a house full of boys (3 to be exact) and just know when I have another one that it’ll be another boy. Which I’ll love them but man oh man would I love a daughter. Something about that bond that I think I’ll always be incredibly sad about if I never have. So for now, that’s my stopping point, when I get a girl. Although it’ll take a lot of convincing to get the hubby to go for 5 kids, lol. Congratulations!! I’m expecting too. We actually thought we were done at two kids but God had a different plan so now we are expecting another boy. We are excited but nervous because we take care of our niece as well and I’m a stay at home/working mom and my husband is the only one with guaranteed paycheck lol! This absolutely has to be the last one. If I were rich I think I would have ONE more though. I just love the they bring so much excitement and drama to our lives. 🙂 Good Luck and hang in there. We have 5 children and one in heaven. After my last, I decided I liked sleeping through the night. Hadn’t done that for 10 years. I had my 5th at age 36. The doctor called me ‘gently mature’. I believe you know in your heart. 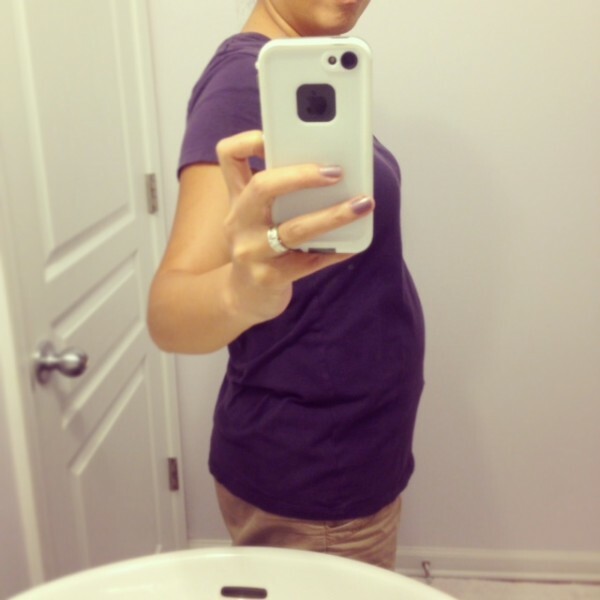 I had wonderful pregnancies and loved the feeling of movement in my belly. The last child I thought, it’s ok if I don’t have life growing in me anymore. I do love how my children play and interact and take care of each other (ages 8-18). I love big families.